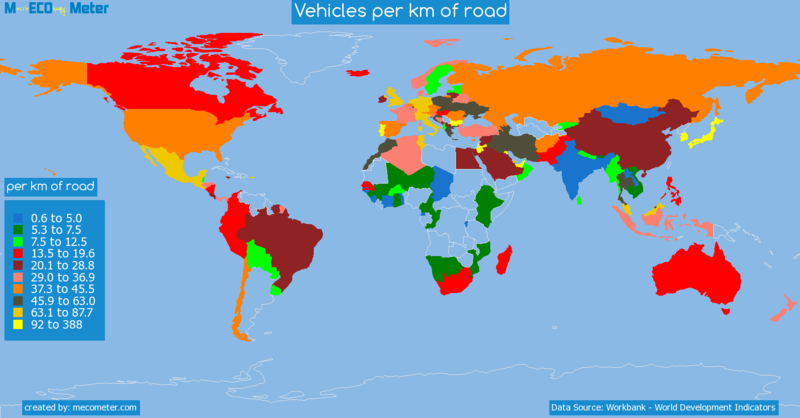 Value & RankThe Vehicles per km of road of Pakistan is 13.6 (per km of road) with a global rank of 97. 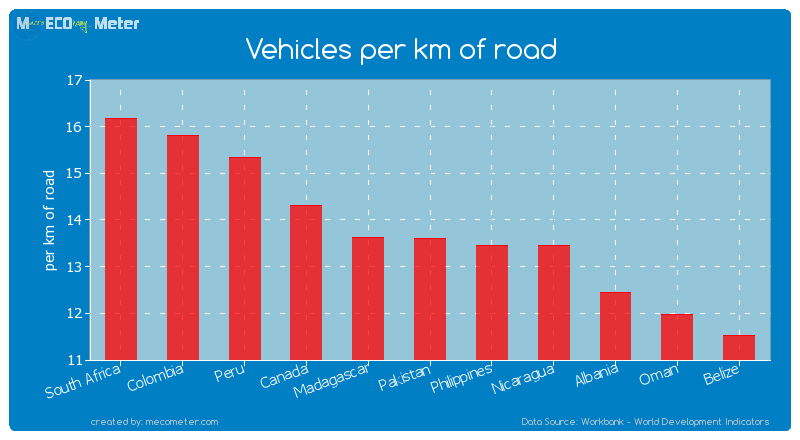 Pakistan compared to other CountriesThe Vehicles per km of road of Pakistan is similar to that of South Africa, Colombia, Peru, Canada, Madagascar, Nicaragua, Philippines, Albania, Oman, Belize with a respective Vehicles per km of road of 16.2, 15.8, 15.3, 14.3, 13.6, 13.5, 13.5, 12.5, 12.0, 11.5 (per km of road) and a global rank of 92, 93, 94, 95, 96, 98, 99, 100, 101, 102.10 years growthPakistan's Vehicles per km of road had a positive growth of 113 (%) in the last 10 years from (2001 to 2011). 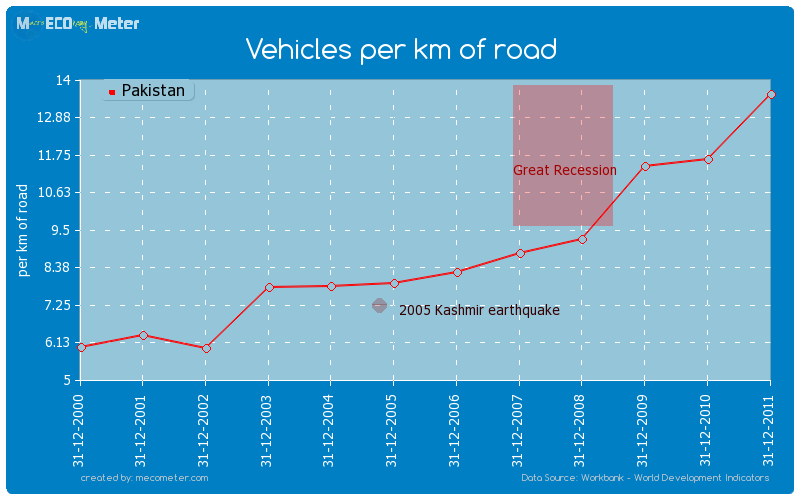 Last 10 years averagePakistan had an average Vehicles per km of road of 8.99 (per km of road) in the last 10 years from (2001 to 2011).